This is a first for me, but I fancied giving my thoughts on a product I've recently tried - this is a product many of you regulars will no doubt be familiar with, but I wanted to share my thoughts. 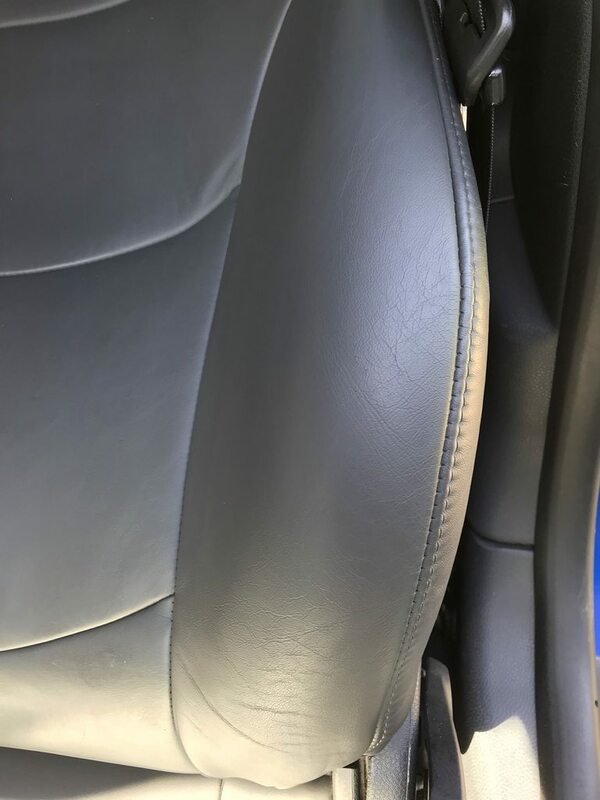 I want to give this review from a layman's perspective - I don't claim to know much about leather cleaning, I'm just going on what I've read here on DW and I hope that this thread will prove some use to others in a similar position. I understand them all to have the modern style of coated leather which only needs cleaning, not conditioning. Over the years, I've tried a few different leather products. 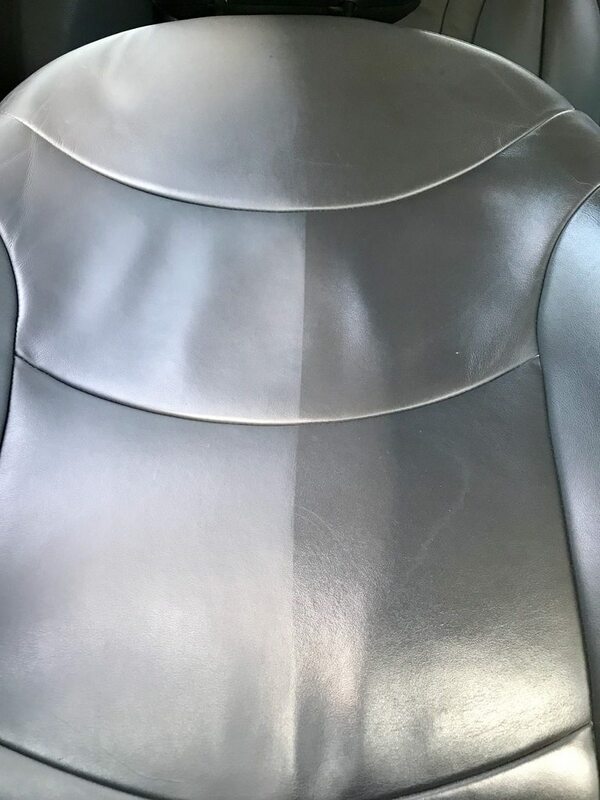 Meguiars Gold Class Leather Cleaner & Conditioner http://www.meguiars.co.uk/shop/gold-...ditioner-400ml was the weapon of choice for some time - it is readily available and gives ok results. It was a good product for my previous cars, as they were only a few years old and only needed an occasional maintenance wipe over. 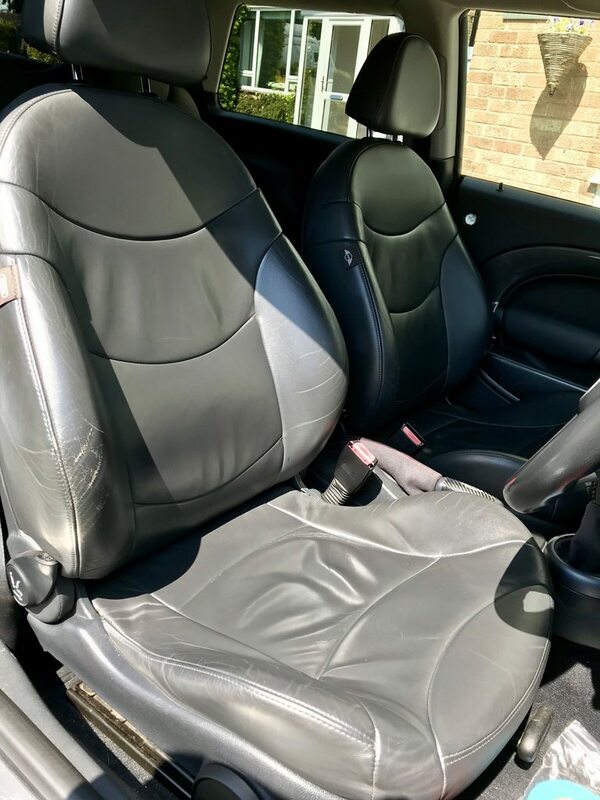 When I got the MINI (Project thread here) I realised that Meguiars was only making a very limited impact on the seats - they remained lightly marked and very shiny which I just put down to age. 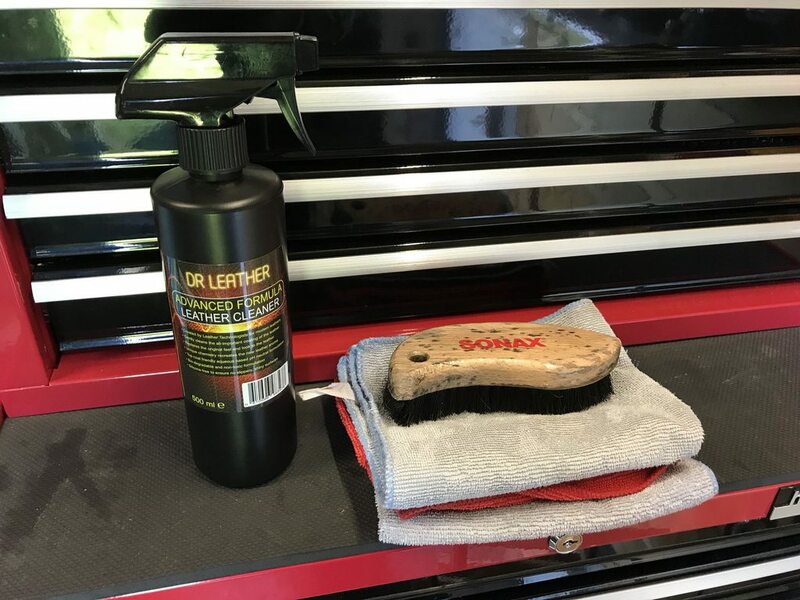 Wanting to try something new - I saw that many on here rated Dr Leather wipes very highly, so gave them a go. The hinge for the lid snapped off the tub, the top few wipes were dry, they wouldn't feed through the top of the tub.I found myself using several wipes per seat and even then only getting rather average results. In the interests of fairness - I should say that I bought them from an eBay retailer, so perhaps they were old or badly stored. I personally don't like using wipes, as you end up wiping it down with a microfibre anyway - it just seemed like a waste throwing the little individual towels away. 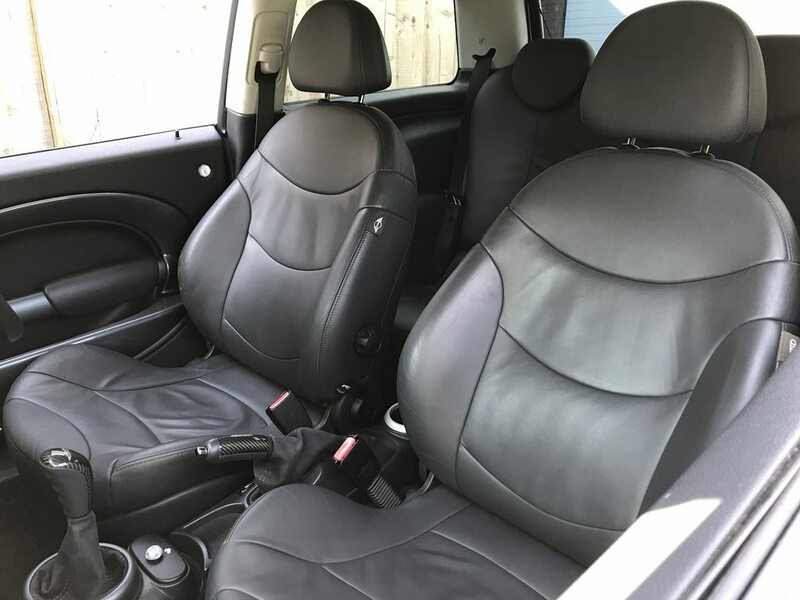 I finished the tub (which didn't take long as there are 4 cars in my care which have leather seats ... only two of them are mine, I should say!) 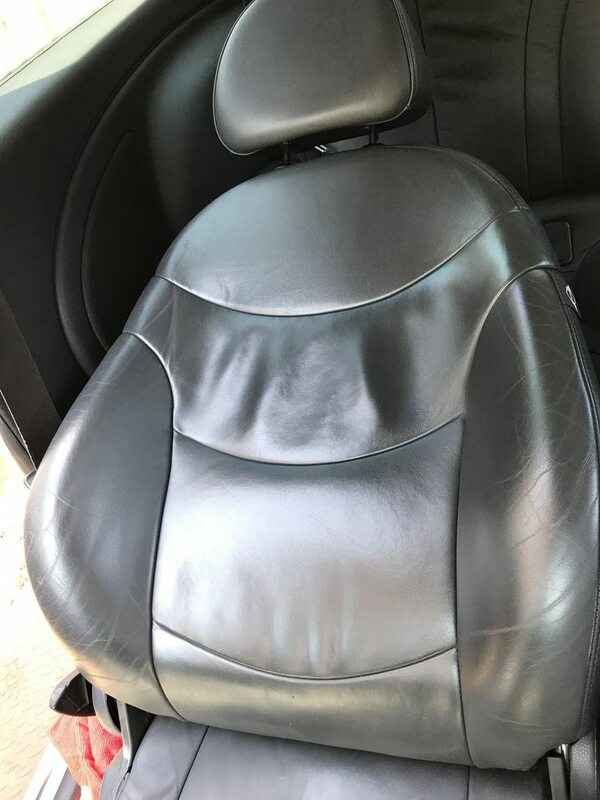 The seats in my MINI had now become so shiny that they had begun to look like a bin bag - so I began to look for alternative leather cleaners. Yet again, I found repeated recommendations for Dr Leather and people saying that they would no longer use anything else! Willing to give it a second chance, I opted for the spray version instead. I bought mine from Perfectly Cleaned on eBay (A seller I have had good experiences with in the past). It was £17.94 for 500ml. It is a similar price on CYC, however you would be paying for delivery on top of that. It arrived today, I eagerly went out to try it. I had ordered a new leather cleaning brush, however it hasn't arrived - so I used a Sonax fabric and leather brush which I had around - it's hardly been used but looks dreadful because I left it in a bucket with some damp cloths which sent the coating on the wood a bit gross! 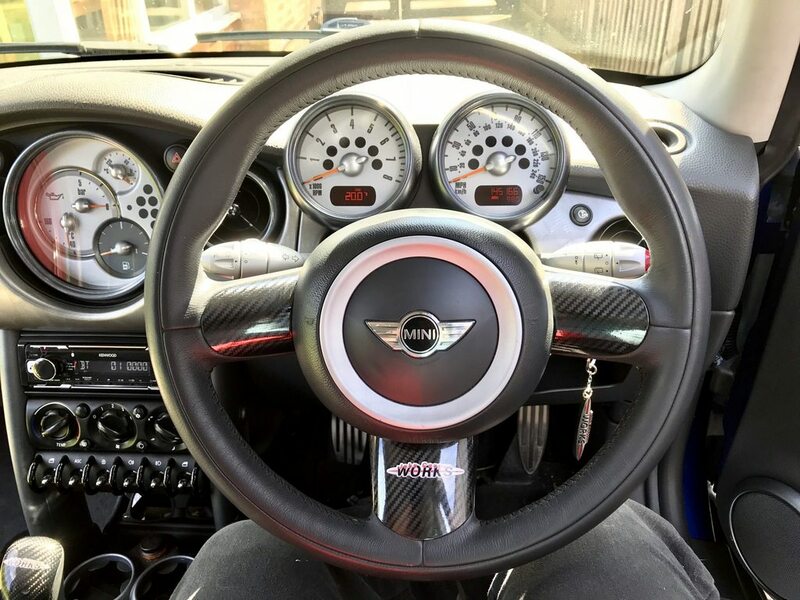 I decided to throw myself in at the deep end and give it its biggest challenge - the MINI. 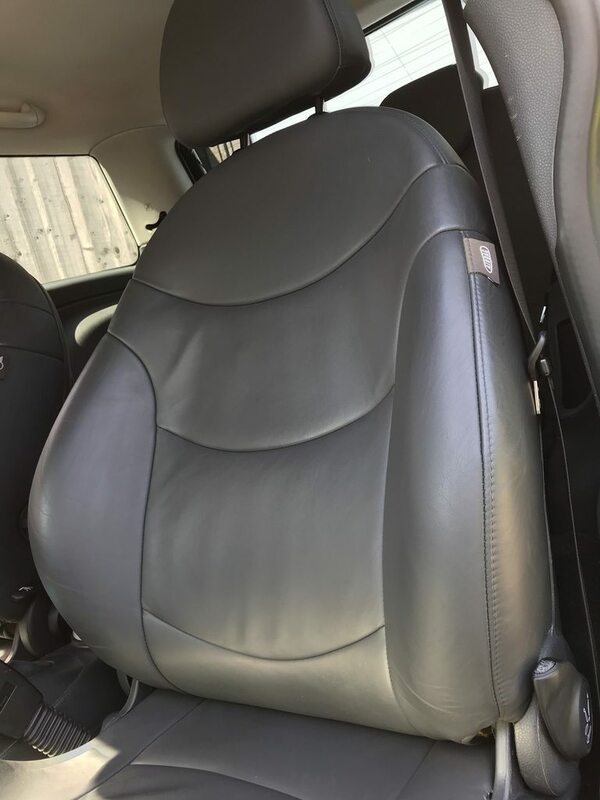 These seats are 14 years old and have 145,000 miles of bum time on them. 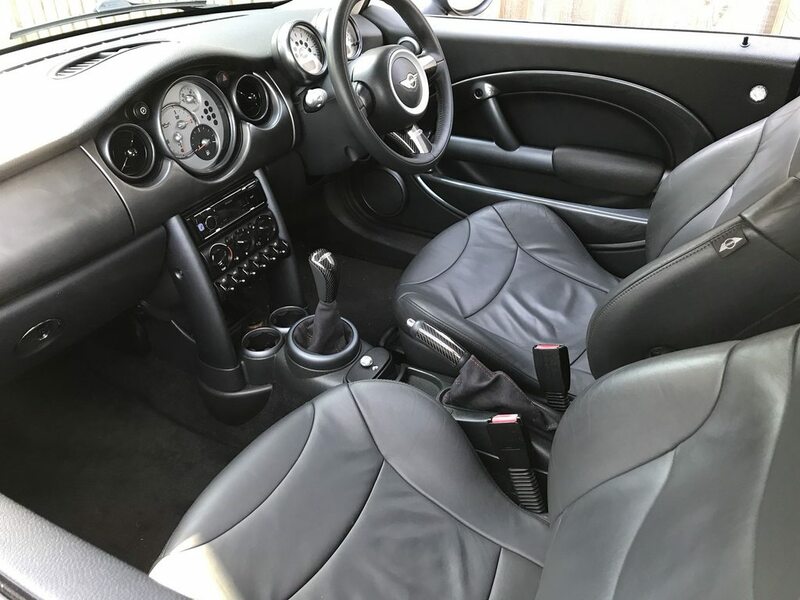 They are notorious for the base piece going saggy - even the lowest mileage R53 MINI with full leather will be baggy like this. 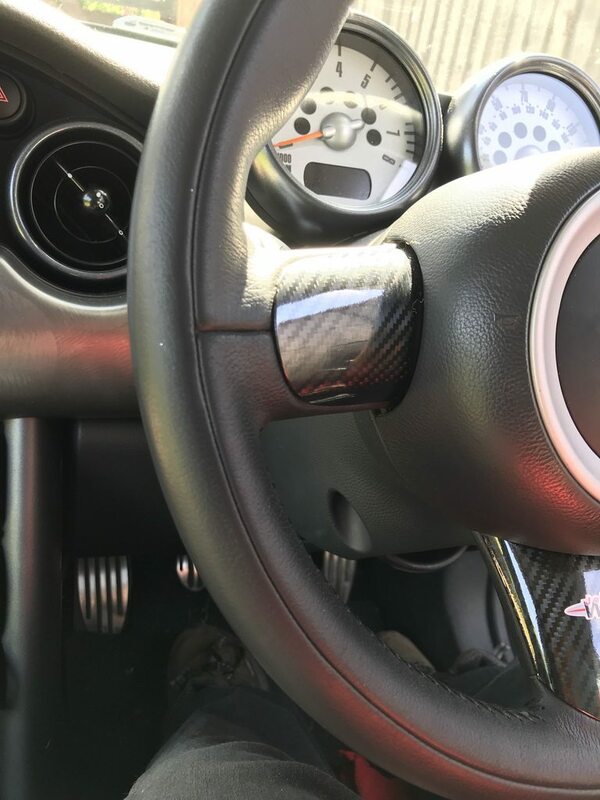 Aside from that, they don't have much damage - save for some scuffing on the driver's bolster. 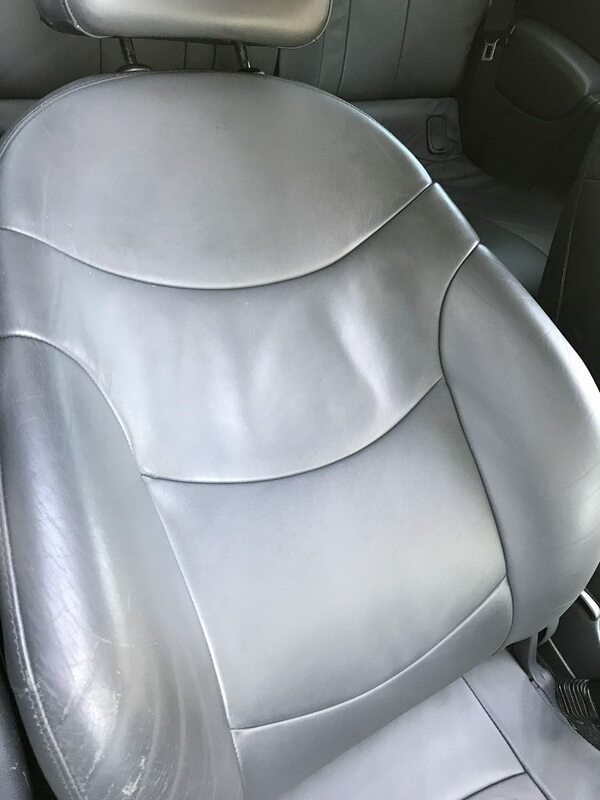 My main gripe is that they've gone very shiny - the leather is a very smooth finish - there is next to no 'grain' which I think attributes to this. Do you agree with my bin bag likeness?! Apologies - some photos were in direct sunlight at the front of the house, I moved the car quite quickly after. 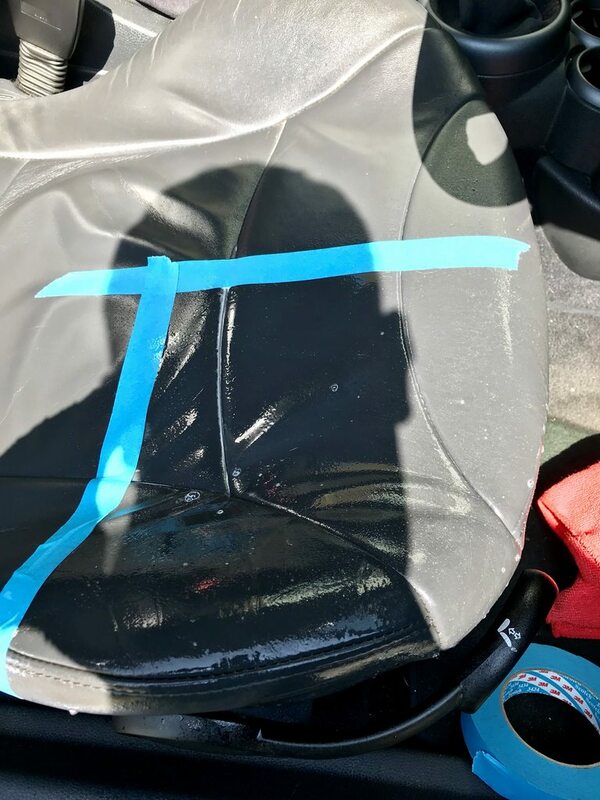 As I wanted to see if the product would make a visible difference to the leather, I did an old DW favourite and taped off a section of the seat (I stuck it to myself a few times first so not to damage the seat) - because who doesn't love a good 50/50?! 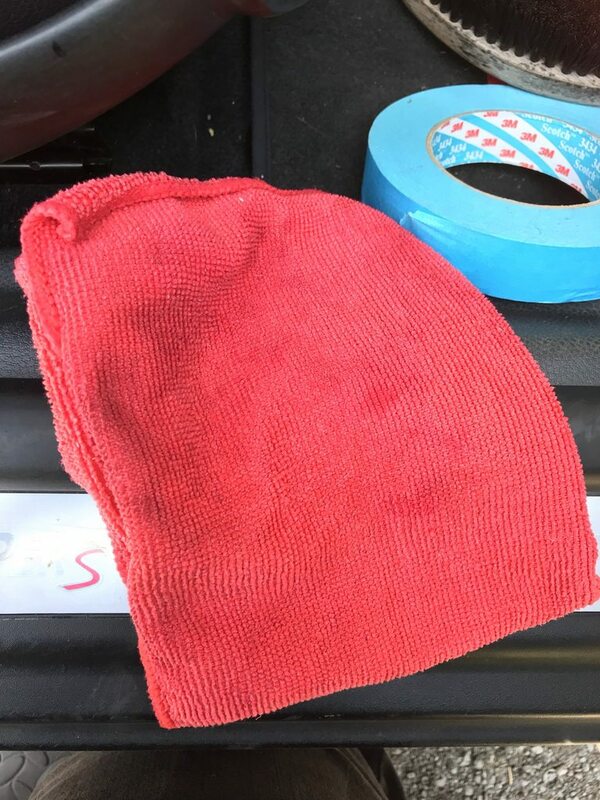 Product sprayed on to the test patch. I then gently scrubbed the area with the Sonax brush in a circular motion - I could see the excess spray turning grey. 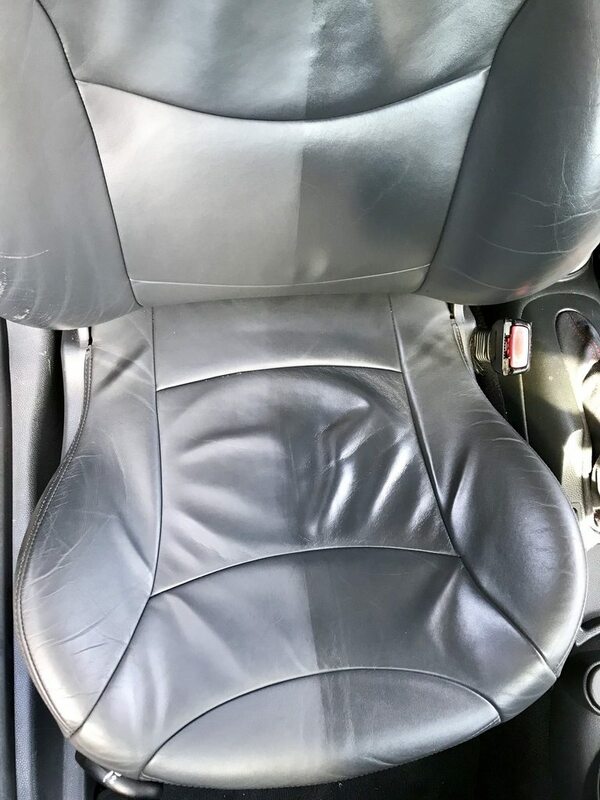 Although it's worth mentioning that the Dr Leather cleaner doesn't seem to foam up when worked in as I thought it might. I then wiped with a clean microfibre and could immediately see the improvement! The cloth however, didn't look very dirty. I peeled back the tape and this was the result! 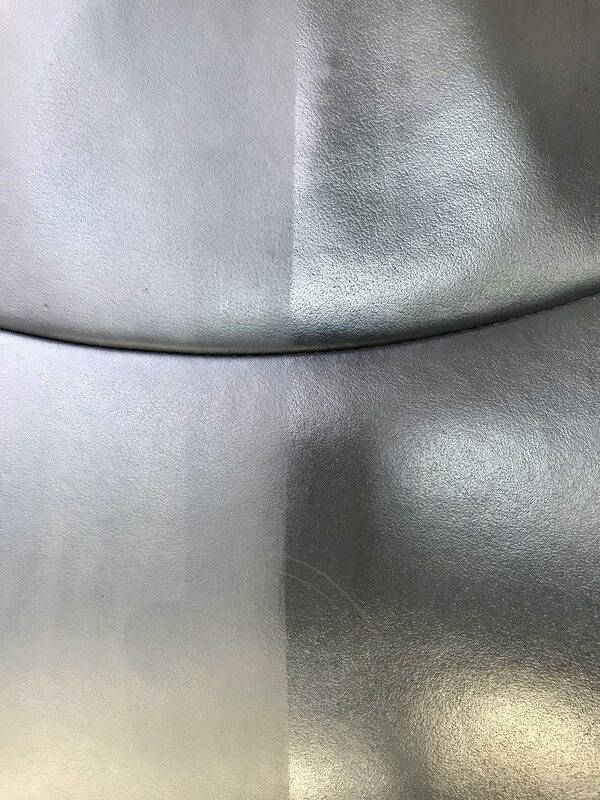 As you can see, it has comprehensively removed the shine and restored a lovely matte finish in one application! It was at this point that I pulled the car round the back of the house where there is (marginally) less sun. I couldn't believe the improvement it has made! 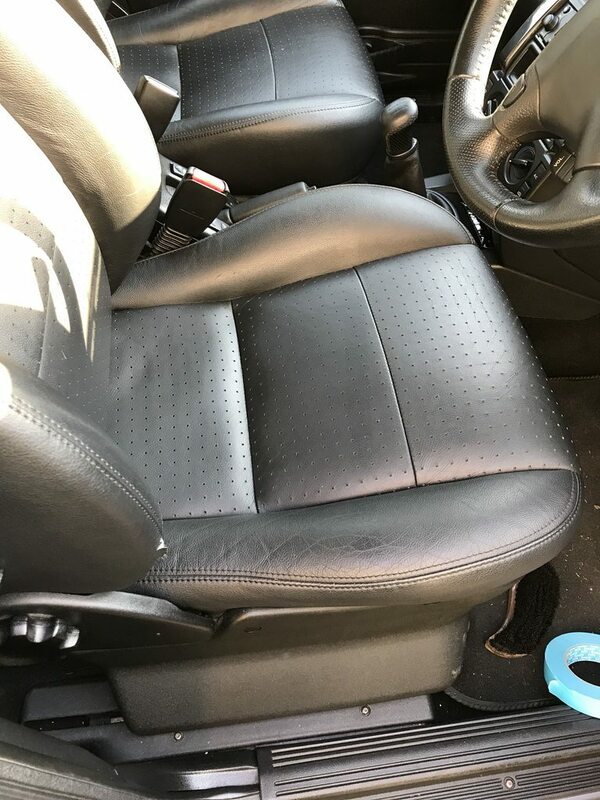 It has stripped tens of thousands of miles off the seats! 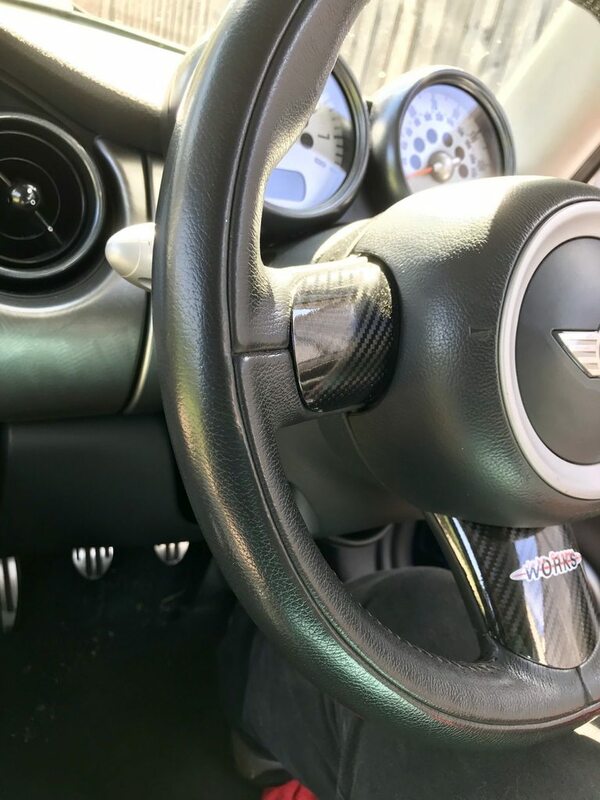 It wasn't practical to use the brush on the steering wheel, so I just used a microfibre to apply and wipe it. It feels far nicer in the hand now. And a few finished shots. 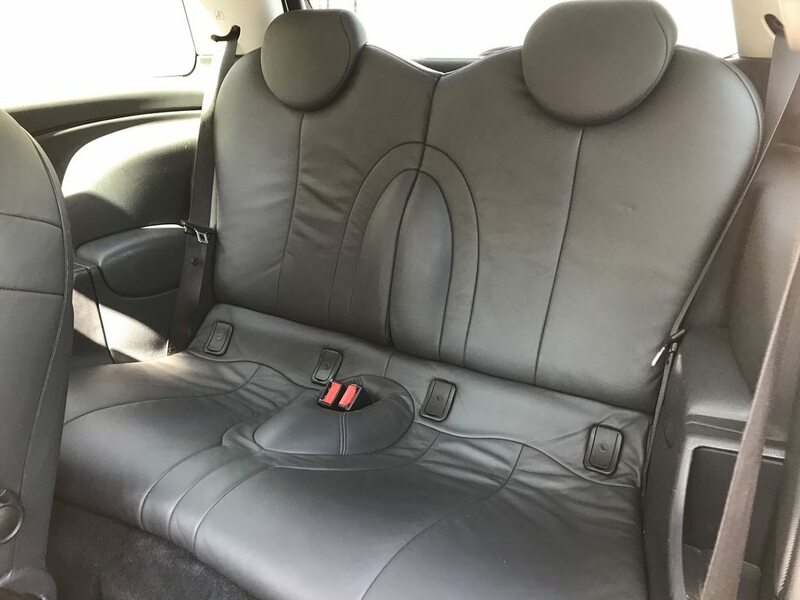 The passenger seat yielded a similar improvement to the driver's. 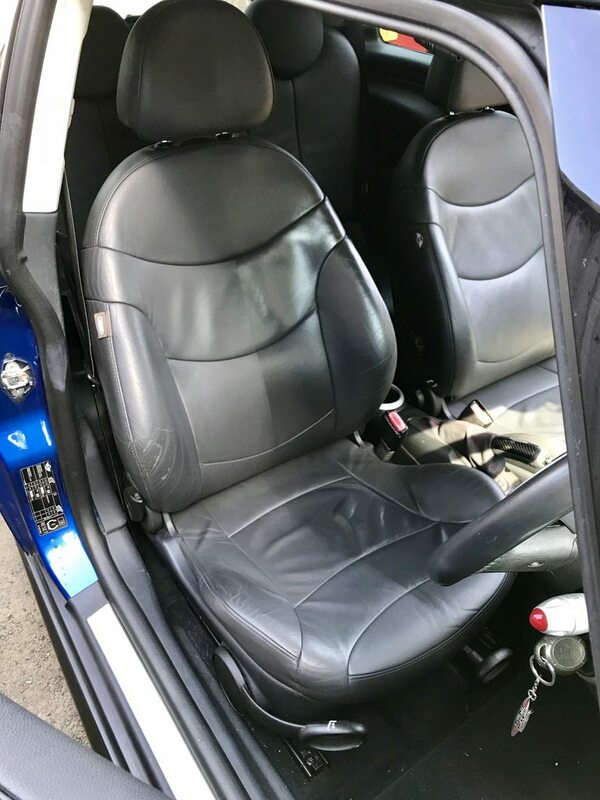 The rear seats were virtually perfect anyway (as it's not really human sized in the back), but I gave them the same treatment anyway. 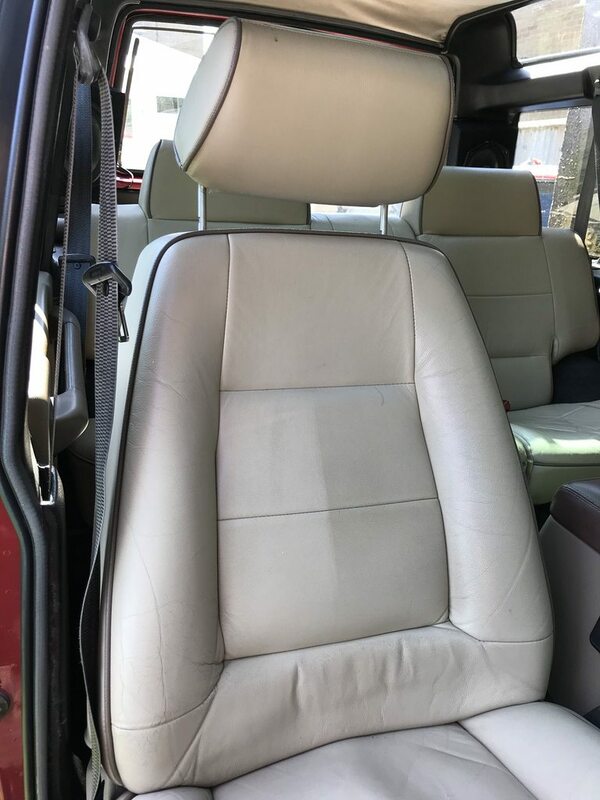 I also tried it on my Discovery's cream leather seats. These weren't particularly shiny, but they were a little grubby. 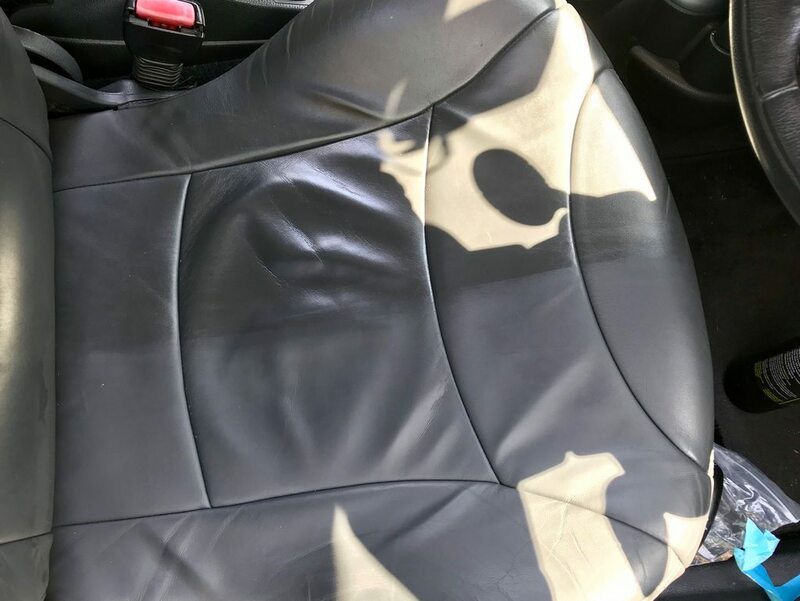 It is 20 years old and has covered 148,000 miles. And finished. 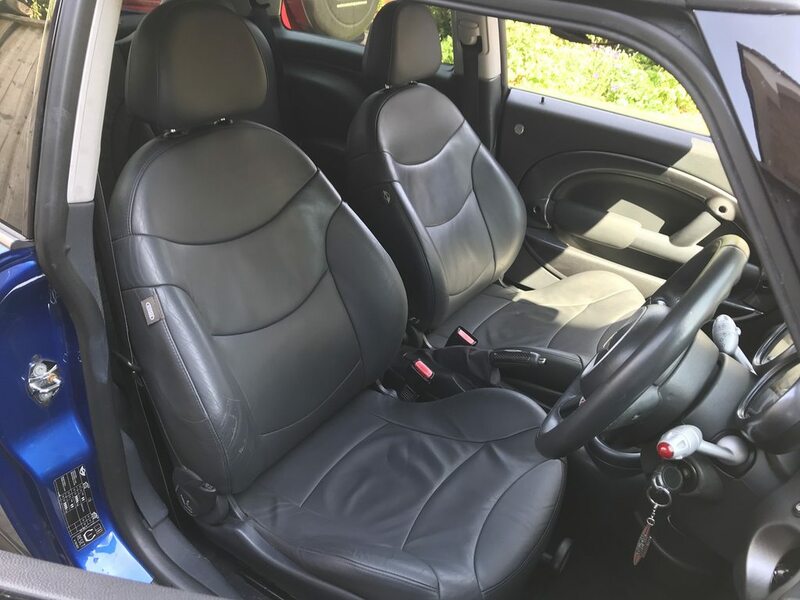 The cleaner has really brightened the colour of the seats and left a nice clean feel. 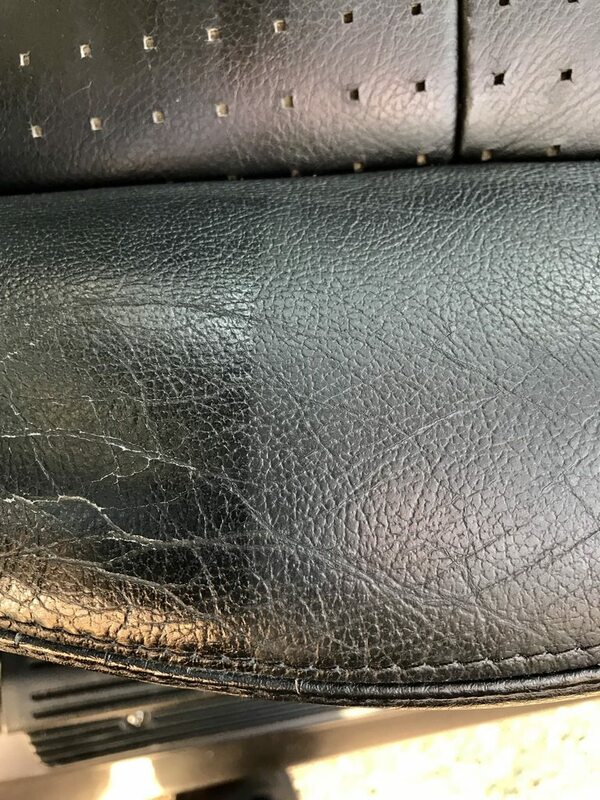 It has removed all the visible dirt - there are still some imperfections in the leather which will only be solved with re-trimming which I intend to have done one day. 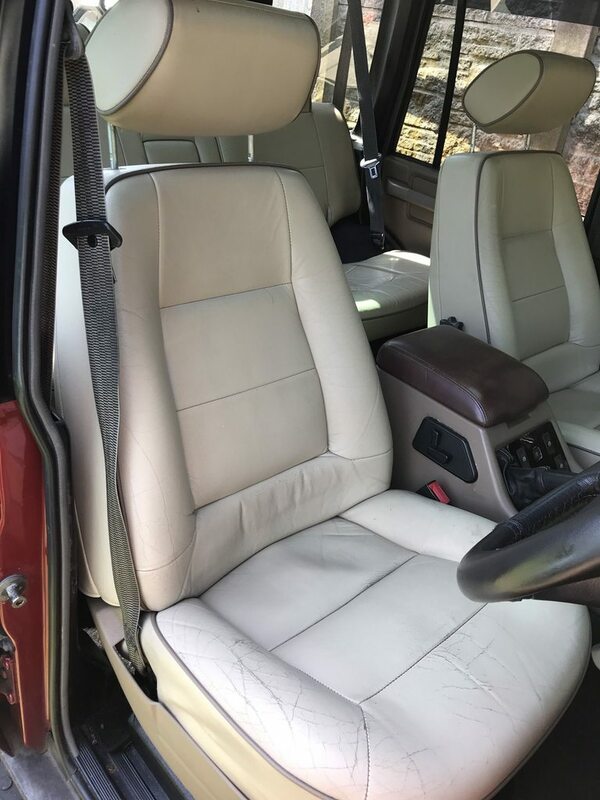 As I was on a roll - I tried the driver's seat in my Mum's Freelander HSE - 13 years and 116,000 miles. 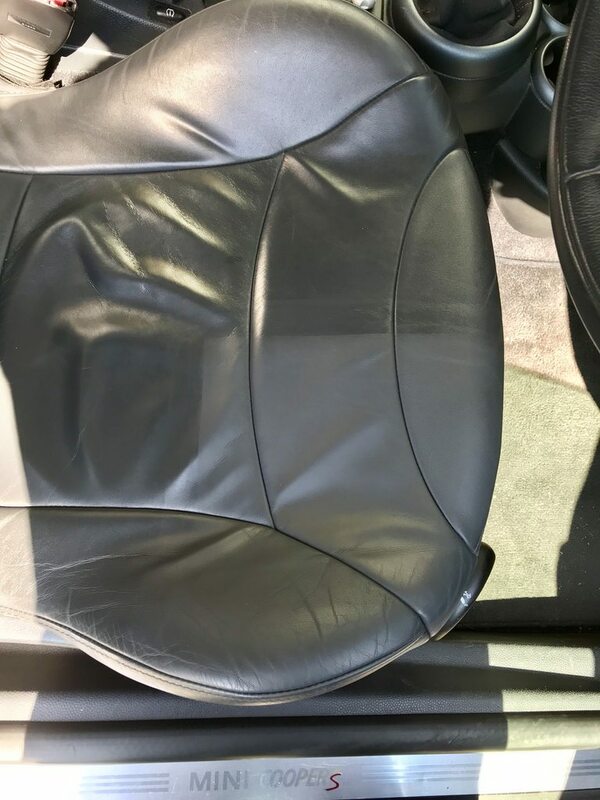 These seats have a habit of going shiny and becoming 'grippy' with dirt in a matter of weeks. The leather feels and looks rather cheap to my eye. That didn't stop Dr Leather working a treat on them! In short - I think it's fantastic. 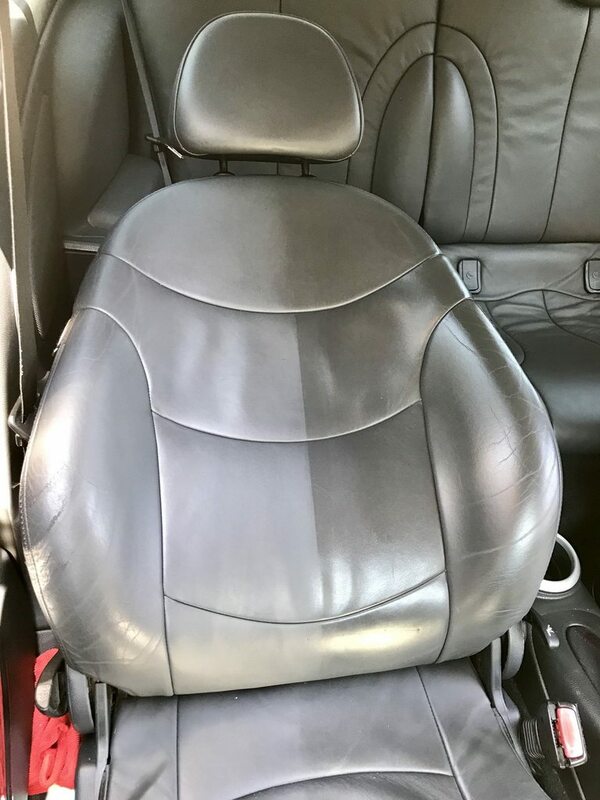 The smell is quite pleasant (sort of leather-ish) however just after spraying the product onto the seats, it can be quite choking and unpleasant to be close to (which you can't really avoid doing!). 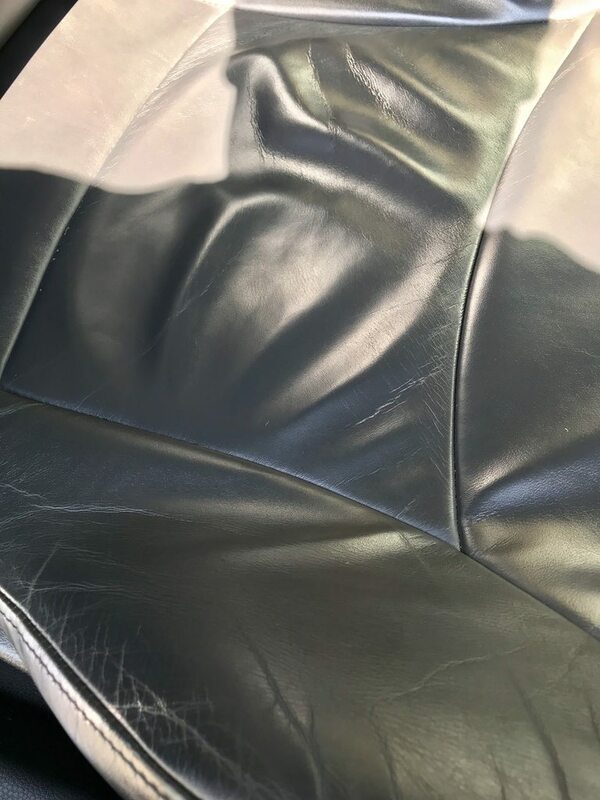 There is a nice leather smell left behind after use - I don't know if this is the product or the seats themselves, however it was a noticeably different leather smell between cars which would indicate to it coming from the seats themselves. The spray head on the bottle works very well - you can choose between spray and stream depending on your preference. The spray setting worked well for me - giving good coverage without going everywhere! It's refreshing to see that the spray head doesn't drip. I would recommend using it with a leather brush like I did, to get the most out of the product. 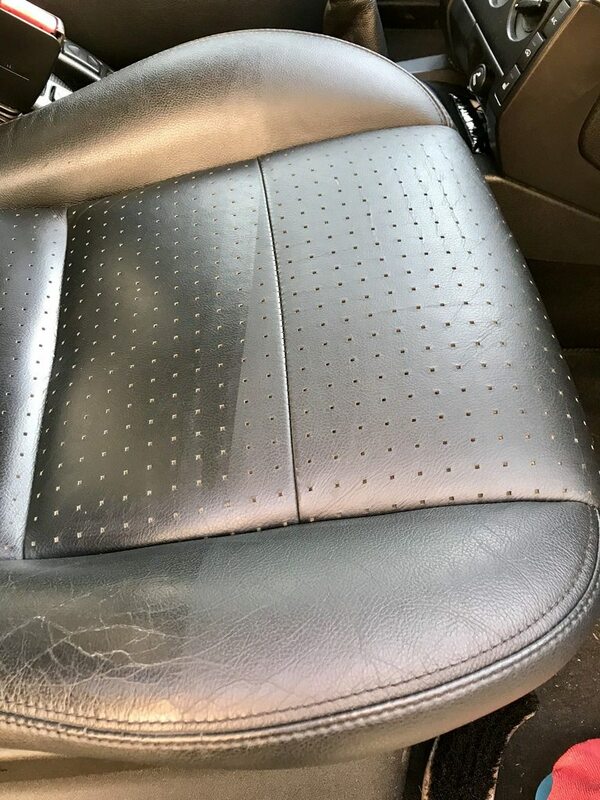 You do have to change microfibre cloths frequently to ensure you aren't wiping dirt back into the seats. It's rare that I buy a product and think it's so brilliant that I need to tell everyone about it, but this is truly deserving. It has yielded results that other products couldn't come close to. 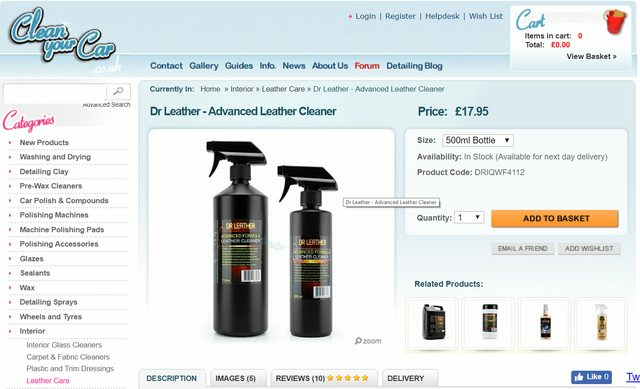 I'm tempted to buy another tub of the Dr Leather wipes (this time not from dodgy Des on eBay) to use for maintenance cleans, and save the spray to use occasionally. Now i'm tempted to try their Dye Block which I hear good things about too! Last edited by jbenekeorr; 24-05-2018 at 09:05 AM. Been tempted but don’t think 500ml will last long? A properly informative and excellently constructed review, bud. It really looks like a fantastic product. I really must get myself some!!! DW needs more of these. Thanks for the replies, I’m glad you all liked the review. I got the 500ml. I didn’t want to risk the 1l bottle in case it was rubbish! Obviously I can’t yet comment on how long it’ll last. But you don’t have to use a whole lot of product to get results, so I think the 500ml bottle will do several full interiors - mine doesn’t seem noticeably lighter yet.